Let’s take care of a bit of house cleaning before we get to this great post by Harrison about running your first ultra race. The Holiday Gift Guide podcast will air on Tuesday. I’m sure you find it packed with great gift ideas for those trail runners on your naughty list. Wednesday we have a great article about choosing a Coach from Ty Draney. Thursday’s post will highlight Great Basin National Park. TrailManners is still looking for support on Kickstarter. 2015 is coming to a close and if you’re anything like me, your 2016 race calendar has been in the works for months. Lottery season is in full swing and the hopes of many ultra runners have probably already been dashed by the lottery gods of Hardrock, Western States and other big name races. There is a fine art to choosing races and in the off-season it can be difficult to not get overzealous. Just because your Facebook “friend” just signed up for that random race in Southern Utah doesn’t mean it’s in your leg’s best interest. So how does one navigate through this vast sea of race possibilities? Here are a few tips I try to live by. This sounds simple, but I’ve screwed this up many times. I don’t have the mental fortitude to treat every race like an “A” race. I’ve found that if I don’t consciously pick my focus race for the next year, all races feel like “B” races. Picking a race in an area you’d like to visit is a great excuse for a mini vacation. Bring your significant other and your 3.2 children. They’d surely enjoy some sightseeing the day after your big race. You can even fake it like you aren’t hobbled and tired. Similar to the “destination race”, but this could just be a way to race away from your normal running crowds and community. This is an opportunity to see some new trails and terrain all while being completely anonymous. I employed this way of thinking throughout 2015 and it was a breath of fresh air. By its very nature, trail races are low key when compared to the road running scene. With that said, the popularity of some races these days can almost seem like road races. Try a race that’s relatively new, or has low number of starters. You may find that this is the perfect way to race while not feeling crowded on the trails or inundated with hoopla and unnecessary race swag. This is always an enticing proposition in the off-season. Daydreaming of just how fast you could run a 50 or 100 mile race can be fun. Choose a race that’s fairly “flat” or maybe just sign up for a race you’ve already done to see if you can better your time. Running the same race each year is a good way to gauge your fitness and how effective your training has been. I’ll attempt to say this without sounding negative. 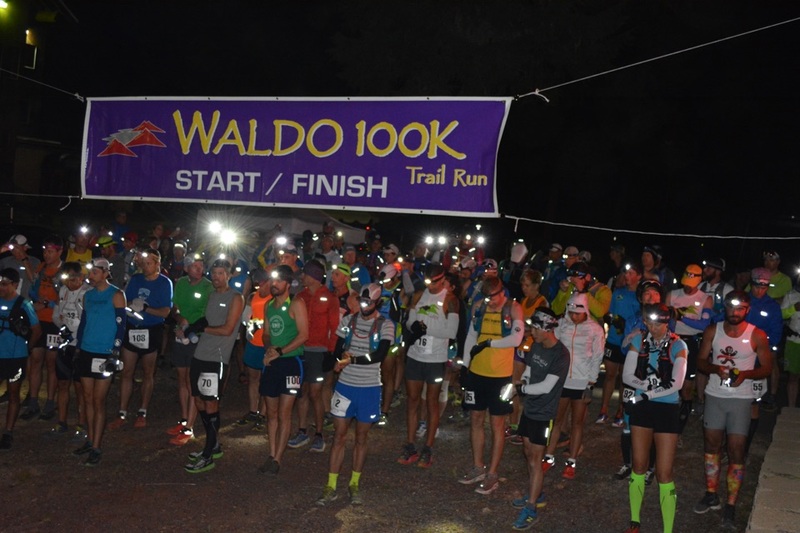 Choosing a race like the Wasatch 100 or Bear 100 for your first attempt at the distance is probably not a good idea. Sure, it’s been done by many people. Some ultra-runners may actually have a “successful” first 100 going that route. More than likely though, it’ll be a royal sufferfest where your stomach goes, your feet look like giant blisters and you death march to the finish. But hey, you may be into that sort of thing. I’d opt for something a little flatter, where you can start figuring out the 100 mile distance without 20,000 + feet of climbing. One big factor in your overall enjoyment of your next ultra could be the race management or volunteers. If you are looking for consistency, well stocked aid stations and friendly volunteers, make sure you choose a race with a great reputation. Race reports are always good ways to get information. You may regret choosing that off the grid 1st year race if the course is poorly marked or aid stations aren’t what you’re accustomed to. If you are brand new to ultra-running, you may be tempted to use the services of a coach. I’ve never used one, so I have no actual experience in this arena. My advice would be to select your coach wisely. Just because someone has run four ultras, that doesn’t make them a coach. The beauty of this sport is that it can be enjoyed for a lifetime. Don’t risk injury following the advice or training plan of someone who isn’t experienced. Who knew picking an ultra could be so complicated? Hopefully some of these tips will help guide your decisions as it comes to 2016 races. Good luck TrailManners nation!